What the frick is a Jann Lee? I'm guessing Tekken or Virtua Fighter or something, I don't really know or care. 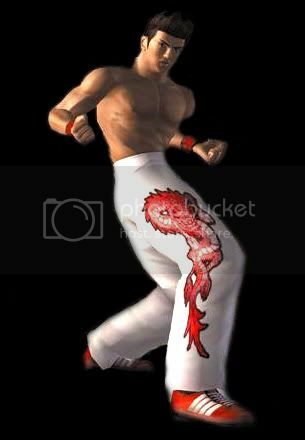 LIU KANG!!! I'm guessing Tekken or Virtua Fighter or something, I don't really know or care. Actually, Jann Lee is from the "Dead or Alive" series.